Total allergy care starts here. Help your patients face their allergies head-on. Don't wait until allergies are written all over his face. Why recommend Children's ZYRTEC® for pediatric patients? 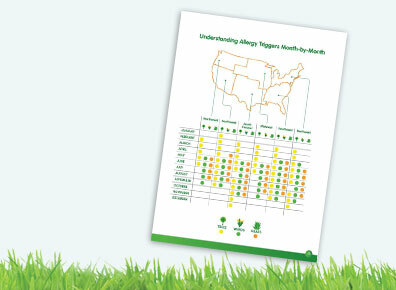 Help patients understand and better manage their allergies with these valuable resources. How can I get ZYRTEC® samples sent to my practice? 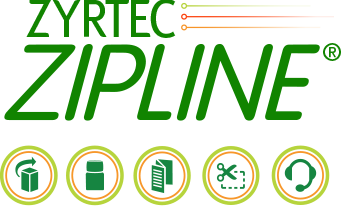 Simply create an account on the Order Free ZYRTEC® Samples page to have free ZYRTEC® samples and product coupons delivered directly to your office. You can also receive valuable patient education materials for office delivery. What formulations of ZYRTEC® are available? ZYRTEC® has a range of products and formulations to suit your patients' allergy needs. To view our current formulations, click here. What formulations do you offer for my pediatric allergy patients? Children’s ZYRTEC® Allergy Syrup is available for patients 2 years of age and older. There's also Children’s ZYRTEC® Dissolve Tabs for patients 6 years of age and older. Learn more here. What is the recommended dosing of ZYRTEC® products? 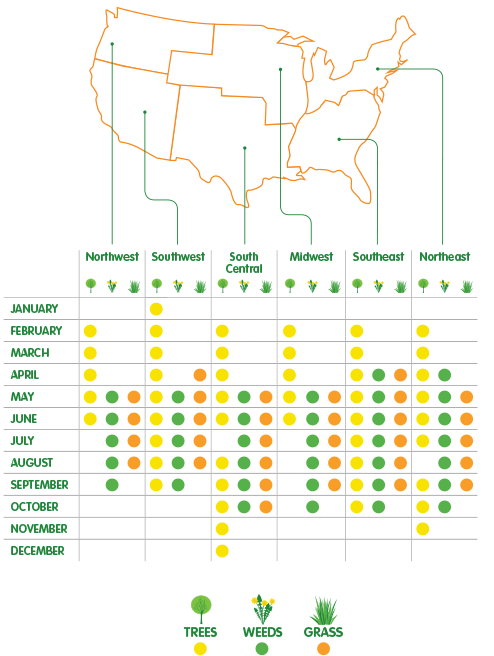 See this link for dosing on ZYRTEC® products (excluding ZYRTEC®-D). Click here for ZYRTEC®-D dosing information. How fast does ZYRTEC® work? ZYRTEC® 10mg starts working at hour 1—that's 2 hours faster than Claritin® (1 hour vs 3 hours). *1,2 See clinical data. *ZYRTEC® 10mg starts working at hour 1 and Claritin® starts working at hour 3 based on first dose on the first day of a 2-day study in 2 pollen chamber studies. Primary endpoint measured mean improvement from baseline in major symptom complex (MSC) severity score. MSC symptoms included runny nose, sniffles, itchy nose, nose blows, sneezes, and watery eyes. What are the clinical data regarding somnolence? In clinical trials, 1% of patients discontinued due to somnolence.3 See the clinical data. How do I get access to the ZYRTEC® SINUS ALLERGY PRO® app? Is it only for the iPad®? You can gain access via the iPad®, Google Play™, on your Desktop, or via the website. iPad® is a registered trademark of Apple Inc. Google Play™ store is a trademark of Google Inc.
How do my patients gain access to ZYRTEC® ALLERGYCAST® to receive allergy and weather forecasts? 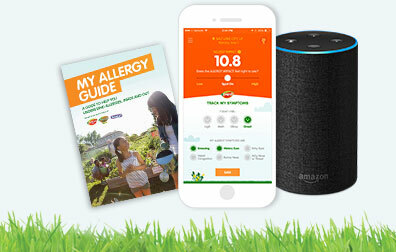 iPhone® and Android™ users can now get allergy forecasts right on their smartphone by downloading the ALLERGYCAST® app from the iTunes® store and Google Play™ store (Standard data rates apply). See for yourself here. iPhone® and iTunes® are registered trademarks of Apple Inc. Android™ and Google Play™ store are trademarks of Google Inc.
Are there any other materials, tools, or apps that you provide for allergy education? ZYRTEC® has a number of tools and materials to engage your patients, including videos that you can share with them! Discover all we have to offer here. References: 1. Day JH, Briscoe M, Widitz MD. Cetirizine, loratadine, or placebo in subjects with seasonal allergic rhinitis: effects after controlled ragweed pollen challenge in an environmental exposure unit. J Allergy Clin Immunol. 1998;101(5):638-645. 2. Day JH, Briscoe M, Rafeiro E, Chapman D, Kramer B. Comparative onset of action and symptom relief with cetirizine, loratadine, or placebo in an environmental exposure unit in subjects with seasonal allergic rhinitis: confirmation of a test system. Ann Allergy Asthma Immunol. 2001;87(6):474-481. 3. Data on file, Johnson & Johnson Consumer Inc.
*ZYRTEC® relieves sneezing, runny nose, itchy, watery eyes, and itching of the nose or throat. †ZYRTEC® 10 mg starts working at hour 1. Based on first dose on the first day of a 2-day study in 2 pollen chamber studies. Primary endpoint measured mean improvement from baseline in major symptom complex (MSC) severity score. MSC symptoms included runny nose, sniffles, itchy nose, nose blows, sneezes, and watery eyes. References: 1. Day JH, Briscoe M, Widlitz MD. Cetirizine, loratadine, or placebo in subjects with seasonal allergic rhinitis: effects after controlled ragweed pollen challenge in an environmental exposure unit. J Allergy Clin Immunol. 1998;101(5):638-645. 2. Day JH, Briscoe M, Rafeiro E, Chapman D, Kramer B. Comparative onset of action and symptom relief with cetirizine, loratadine, or placebo in an environmental exposure unit in subjects with seasonal allergic rhinitis: confirmation of a test system. Ann Allergy Asthma Immunol. 2001;87(6):474-481. 3. Day JH, Briscoe MP, Rafeiro E, Hewlett D, Chapman D, Kramer B. Randomized double-blind comparison of cetirizine and fexofenadine after pollen challenge in the environmental exposure unit: duration of effect in subjects with seasonal allergic rhinitis. Allergy Asthma Proc. 2004;25(1):59-68. 4. 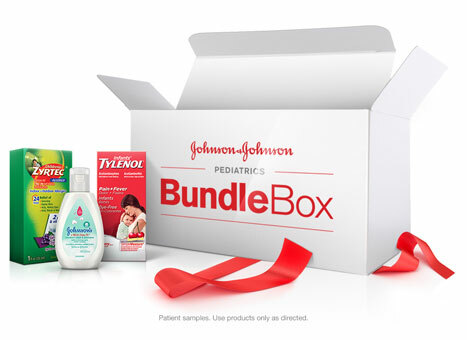 Data on file, Johnson & Johnson Consumer Inc., McNeil Consumer Healthcare Division.